Nokia Asha 200 Dual SIM QWERTY Keyboard Mobile Phone Price in India Rs - 4,200. 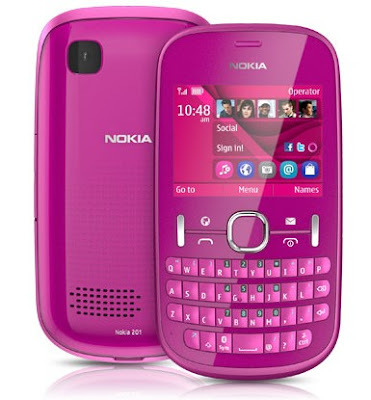 Nokia Asha 200 Dual SIM QWERTY Keyboard Mobile Phone Price in Mumbai Rs - 4,200. Nokia'a latest Dual SIM QWERTY keyboard type mobile phone is Nokia Asha 200. The qwerty Keyboard is used to give fast input to this device. It has 2.4 inches Display, Display Resolutions 320 x 240 Pixels, 2MP Camera with the resolutions of 1600 x 1200 Pixels. Colors - Graphite, Green, Blue, Aqua, Pearl White, Light Pink, Pink, Orange.